I’m kind of at a loss for words on this one. During E3, Nintendo announced that they would be releasing an accessory that would more swiftly and more correctly reflect motions in three dimensional space. 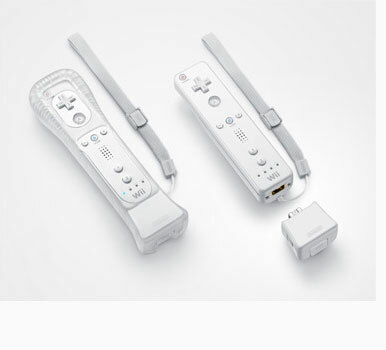 The new accessory is called Wii MotionPlus, and will attach to the end of the Wii Remote. The new Wii remote is supposed to make true 1:1 possible, which I thought was already possible. This entry was posted on Saturday, July 19th, 2008 at 6:56 pm and is filed under Nintendo. You can follow any responses to this entry through the RSS 2.0 feed. You can leave a response, or trackback from your own site. Have you ever thought about publishing an ebook or guest authoring on other websites? I have a blog based upon on the same information you discuss and would love to have you share some stories/information. I know my viewers would enjoy your work. If you’re even remotely interested, feel free to send me an email. It’s in point of fact a nice and useful piece of information. I am glad that you just shared this useful info with us. Please stay us informed like this. Thank you for sharing. Thanks for the concepts you talk about through this blog. In addition, numerous young women which become pregnant usually do not even seek to get health insurance because they dread they wouldn’t qualify. Although a few states right now require that insurers give coverage irrespective of the pre-existing conditions. Costs on these types of guaranteed programs are usually larger, but when thinking about the high cost of health care bills it may be your safer approach to take to protect your financial future.